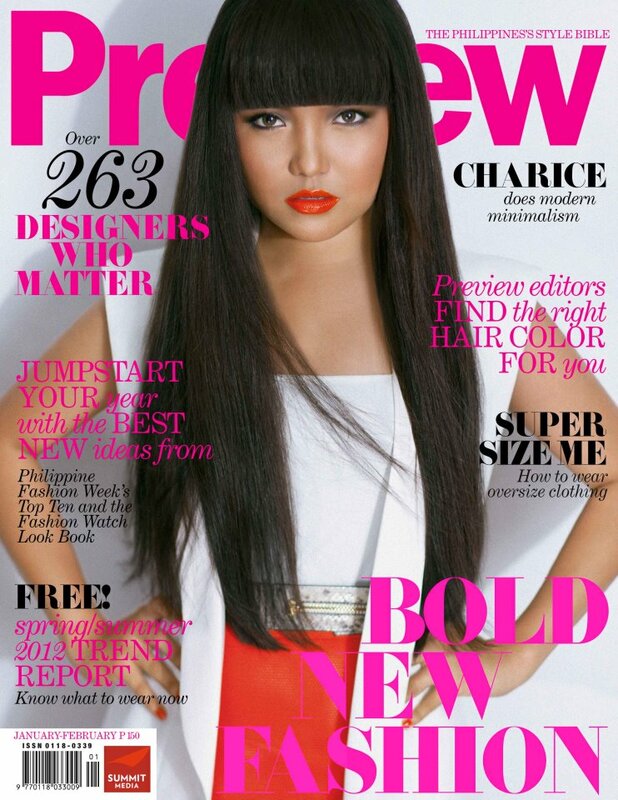 The international singer Charice is getting a lot of attention because she is at the cover of Preview, a popular fashion magazine in the Philippines for its January-February 2011 issue. The reactions are mixed negative and positive, as some criticizes (yet another) overuse of Photoshop while loyal fans adore the more mature look that the young singer took on. She did seem to look a lot slimmer on the cover photo, which many people criticized on their Facebook walls and Twitter feeds, as if they are the better person of everything. Photoshopped or not, I think Preview did a good job. Even the biggest Hollywood stars get certains parts of their bodies "photoshopped" so what's the big deal? Perhaps some people just couldn't believe how a small town girl like Charice can manage to take care of herself and become successful in her career, while these useless people are stuck having a social life online alone. Charice was part of Glee where she played as a Filipina exchange student named Sunshine Corazon, together with Lea Michele and Heather Morris.